The University of Cincinnati’s faculty and students submitted what might be a department record number of papers to this month’s Geological Society of America conference in Indianapolis. 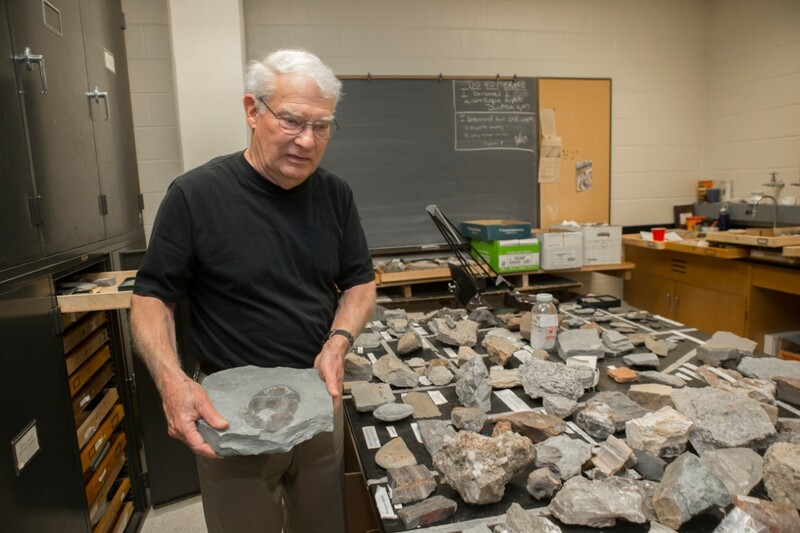 UC geology professor emeritus Warren Huff said the conference’s proximity in Indianapolis, Indiana, encouraged participation by students who otherwise might not have the resources to travel across the country. As a result, the Nov. 3 conference was inundated with UC research on everything from volcanic eruptions to prehistoric bison. The projects demonstrate the value UC places on research as part of its strategic direction, Next Lives Here. Among the more than 60 UC presentations is a study on North American hawks by UC professor of geology and anthropology Brooke Crowley that could help save endangered species. 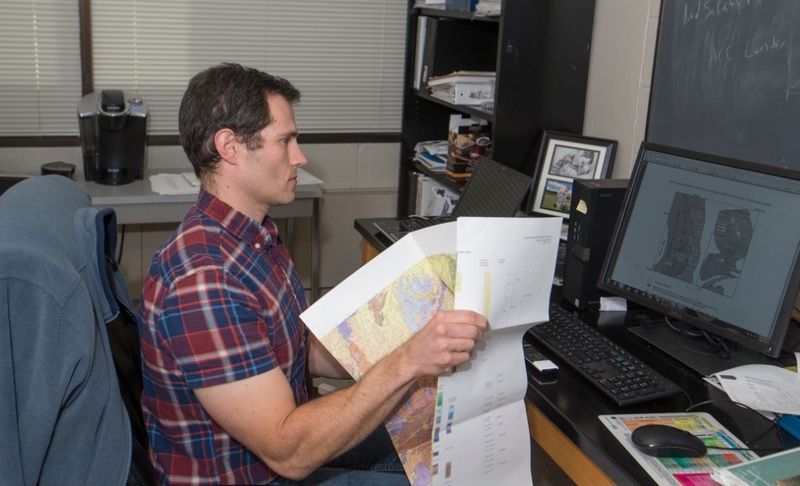 UC geology professor Daniel Sturmer also contributed to a web app to help residents of Nevada understand the risks of natural disasters such as landslides. The UC papers and presentations represent original research examining at least five continents on a variety of topics, said Lewis Owen, geology department head. 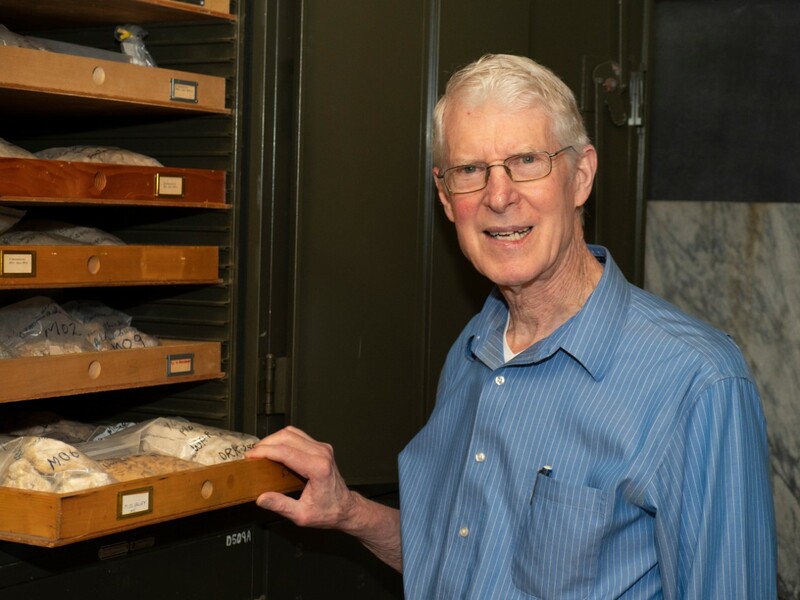 “The sun never sets on the Geology Department at UC,” Owen said. The sun never sets on the Geology Department at UC. 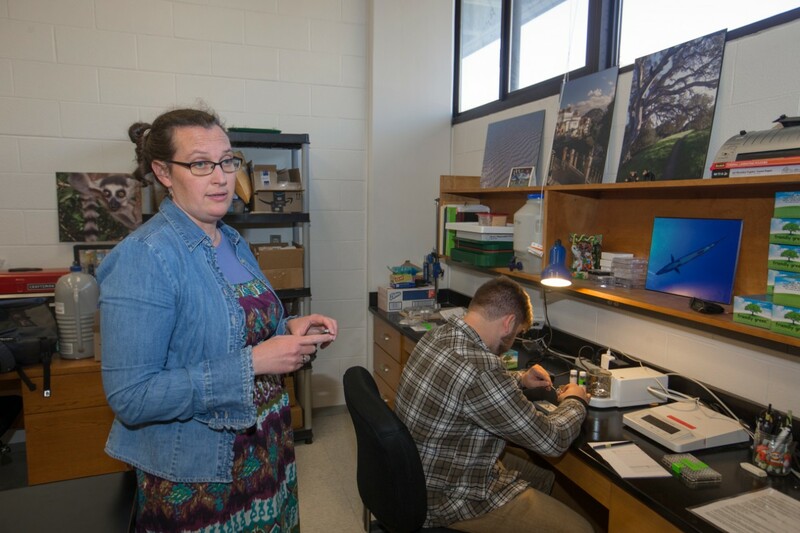 UC geology professor Yurena Yanes and her student Richard Stephenson presented their project examining the isotopic composition of snail shells to study changing temperatures in the Trinidad islands. UC geology professor Reza Soltanian examined glacial meltwater in the groundwater of Antarctica in a collaborative study with Jilin University. 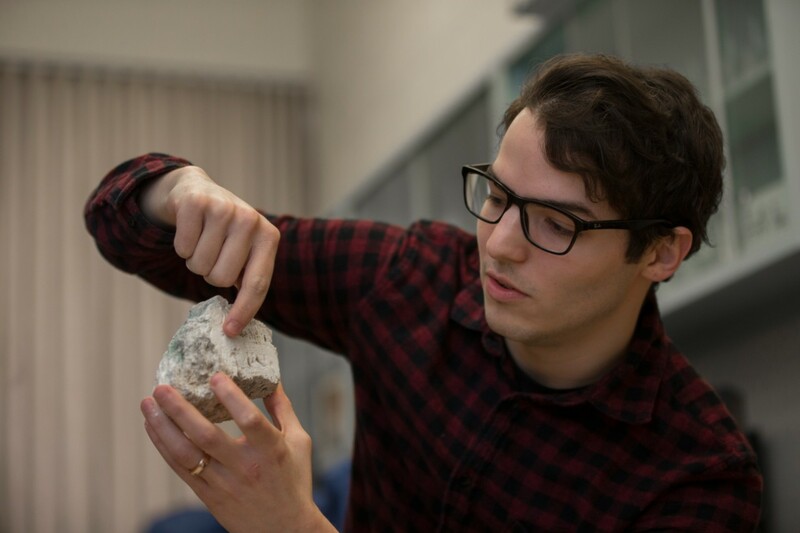 And UC geology professor Carlton Brett and students Timothy Bellamy and Allison Young examined the carbon isotopes of rock dating back to the Ordovician Period more than 440 million years ago. 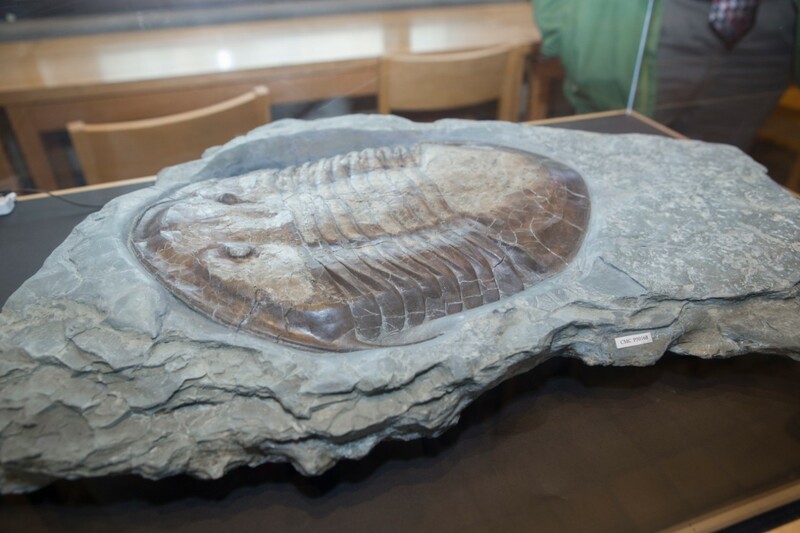 “Allison has been working with several faculty on Ordovician-age rocks throughout central Kentucky and Ohio. She’s doing a carbon isotope analysis to study climate,” Huff said. This kind of analysis can tell scientists about the biota living in ancient oceans. Huff and his students Camden Goland, Kelly Grogan, Salem Al-Ateeqi, Luke Jacobs, Adam Jones, William Hollyday and Nathaniel Norris presented a study examining clays from major volcanic eruptions in Siberia more than 430 million years ago. Huff said volcanic ash turns to clay that can be found in layers of rock. This evidence of major eruptions can tell scientists about mass extinctions and other events long ago. Besides sharing their research, students benefit from conferences in other ways, particularly in networking and public speaking, Huff said. “Students think they just get a degree to prepare for a professional career, but the fact is you have to develop people skills,” he said. These connections often lead to meaningful collaborations throughout a career, Owen said. “I was just telling my freshman class about how scientists do research. A paper might take a year to come out. But you can get feedback immediately at a conference,” Owen said. The University of Cincinnati is classified as a Research 1 institution by the Carnegie Commission, and is ranked in the National Science Foundation's top 35 public research universities. UC's graduate students and faculty investigate problems and innovate solutions with real-world impact. Next Lives Here.